Enjoy Lawrence Park Lifestyle. 2nd Flr Suite In Duplex. 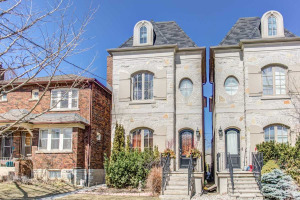 3 Bdrm, 1 Full Bath, Eat-In Kitchen, Shared Laundry. 1 Parking Space Included. Additional Ground Parking Avail. At A Charge. 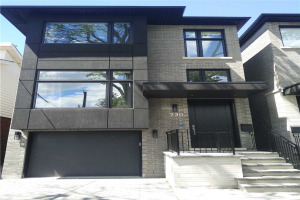 Spacious Layout, Steps To Ranleigh/Yonge Subway. Top Schools: Bedford Park Ps, Lawrence Park Ci, Blessed Sacrament & Private Schools Keen To Yonge St. Living Styles. 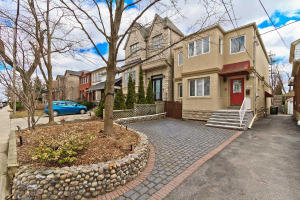 Walk To Public Library, Parks, Groceries, Banks & Great Restaurants. Stove, Fridge, Dishwasher, Shared Washer & Dryer. Separate Entrance To Laundry & Side Yard. Separate Meter For Hydro, Pre-Arranged Water & Gas Payment.